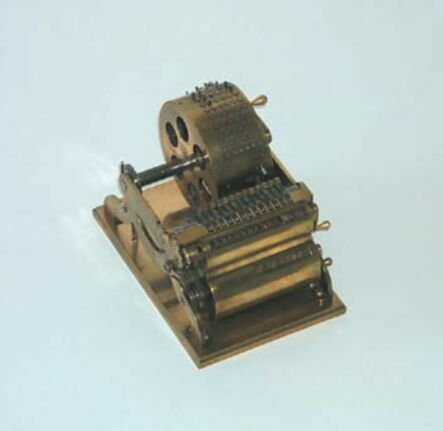 A brief overview of early calculating machines, and then more detailed examination of three critical 19th century technological developments that play a direct role in the development of computers: the Jacquard Loom, Babbage's Analytical Engine and Difference Engine, and Hollerith's 1890 Census techniques. The mechanic and automatic play a critical role in the development of modern computers, and they are no less tied to control, and to the concentration of profit through automation of human labor. Thought to have been developed in ancient Egypt and/or China, perhaps other places as well, and widely in use throughout the world by the first century AD. 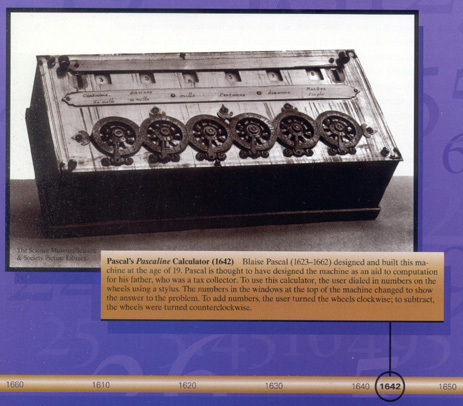 An ancient Chinese abacus said to represent the prototype of today’s abacuses. 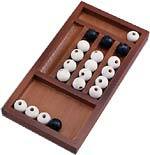 The user places white and black beads into grooves in the wooden frame to do calculations. This specimen was reproduced according to descriptions in the Shushu Jiyi (Jpn: Sujutsu Kii), a mathematics tome dating from China’s Han Dynasty (ca. 202 B.C.–A.D. 220). Wasan Kenkyujo archive. 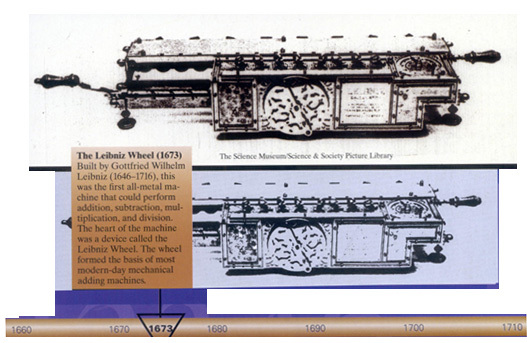 "The first all-metal machine that could perform addiction, subtraction, multiplication, and division." 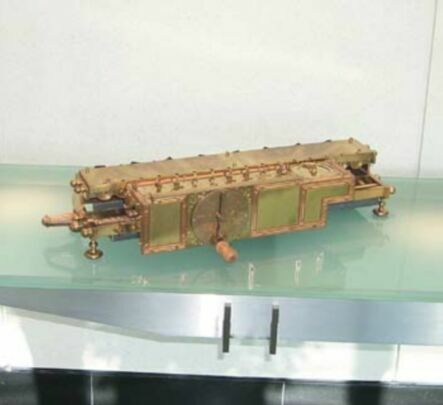 Joseph Marie Jacquard (Lyon, France, 1752-1834) invented or perfected this device for automating textile weaving. 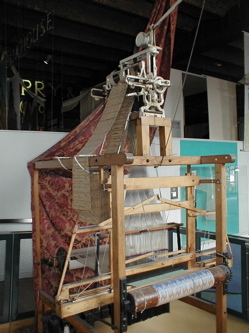 Jacquard loom on display at Museum of Science and Industry in Manchester, England. 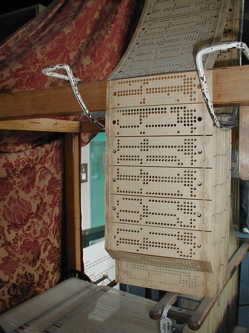 Close-up view of the punch cards. 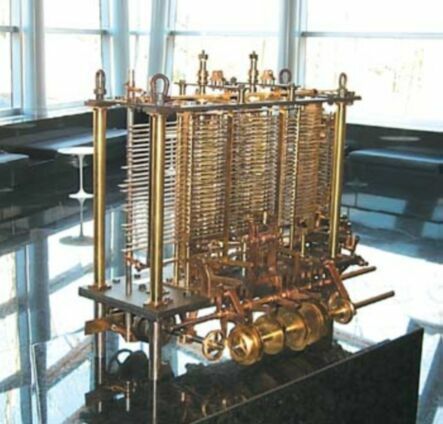 In 1833, described a more comprehensive machine called the "Analytical Engine"
In 1842, Lovelace translated a sketch of the Analytical Engine by an Italian mathematician into English. 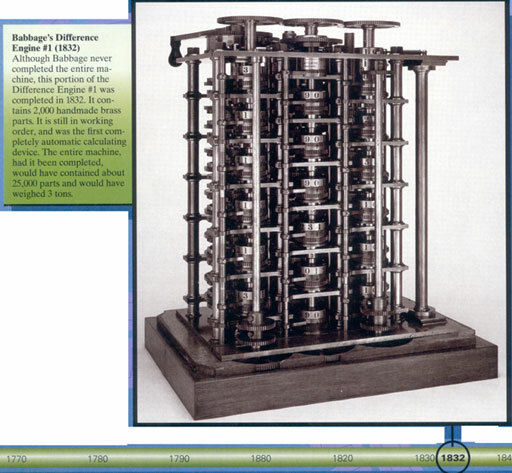 To this memoir she attached a set of "Notes Upon the Sketch of the Analytical Engine" that she had written herself. What is the relationship between what Campbell-Kelly and Asprey call "human computers" and the kinds of tasks performed by automated machines? 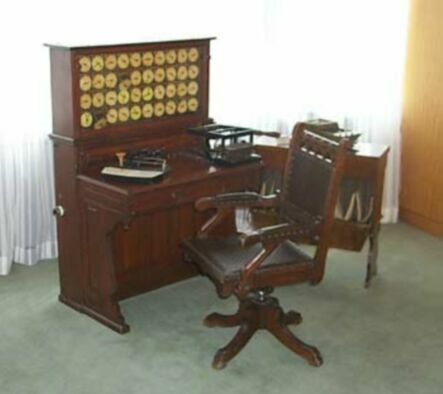 What are the benefits and drawbacks of living in a society that has access to a complete and accurate census like the one made possible by Hollerith's machines? 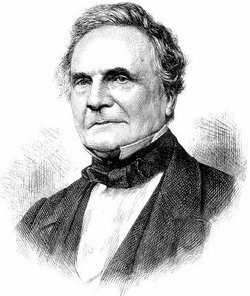 How do you think the world might have been different if Babbage's Engines had become widely available at the time they were conceived? 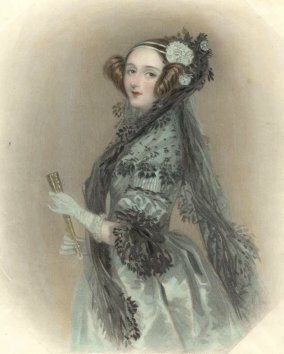 Discuss Ada Lovelace's characterization of the powers and limits of computers in her "Notes Upon the Sketch of the Analytical Engine." Have these observations turned out to be correct or incorrect? In what ways?